Back in the 1970s the Coppergate dig in York was heralded as one of the most important archaeological excavations in modern times. A site that literally re-wrote the book on the importance and impact of the Vikings on York and the UK as a whole, with over 40,000 artefacts uncovered throughout the 5 year-long dig. It also led the way for the creation of the now world-famous JORVIK Viking Centre, which would be constructed to display and interpret these artefacts and bring the Viking-age back to life. 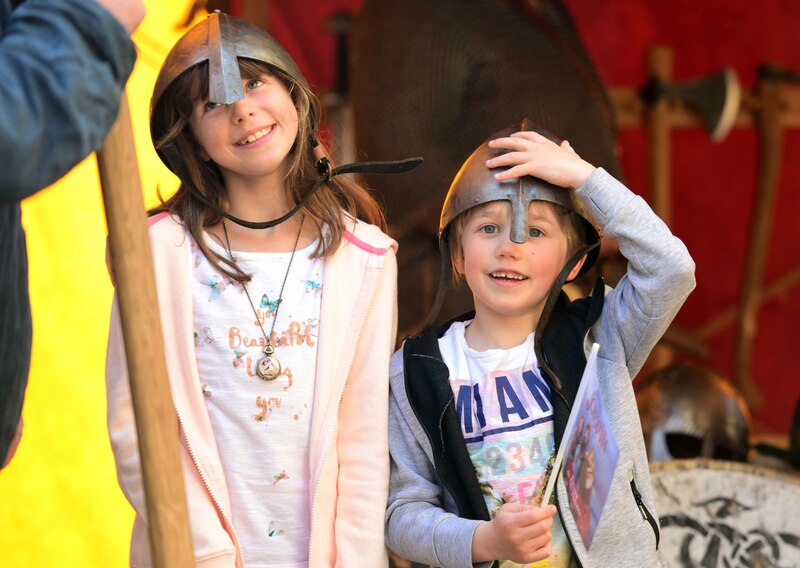 Indeed, it is this legacy that the team behind JORVIK Viking Centre are looking to showcase to the next generation of ‘little diggers’ at their ‘Archaeology in Coppergate’ event taking place from this Thursday in Coppergate Square. Visitors to Coppergate will also be able to share their experiences using #ArcheoSelfie at JORVIK’s special ‘Selfie Booth’ in Coppergate. Archaeology in Coppergate is running 10am to 4pm daily from Thursday 27th July to Monday 31st July in Coppergate Square, just outside JORVIK Viking Centre. The event is free to attend but there will be a small charge for some activities. JORVIK Viking Centre is open 10am to 5pm (last admissions) 7 days a week, admission £10.25 for adults, £7.25 for children and £8.25 for concessions. For more information please visit www.jorvikvikingcentre.co.uk or call 01904 615505.